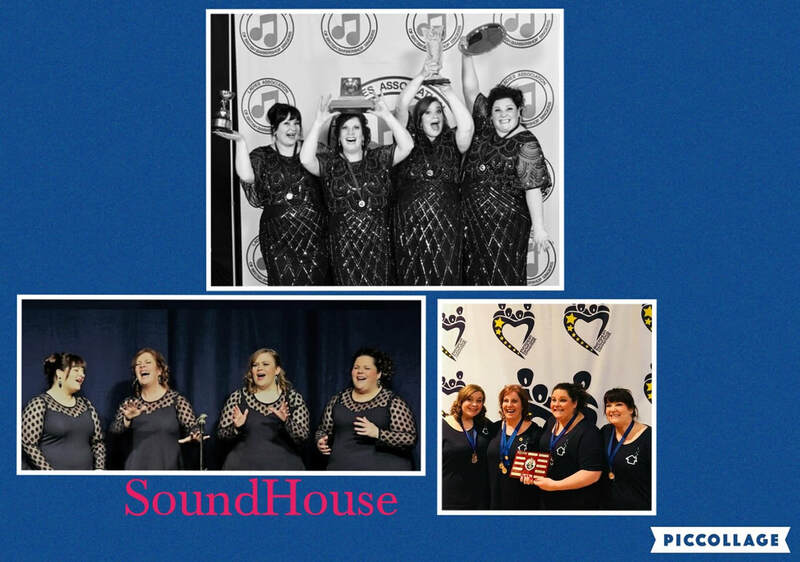 SoundHouse have been singing together as a Quartet for a little more than two years. In October 2017 we became the LABBS National Quartet Champions and European Quartet Champions, a title we will hold for the next four years! We remain in shock! We have more than 90 years of Barbershop experience between us — countless laughter lines and a few medals too! Since winning, we have been lucky enough to be invited to sing at several events, and with some pretty awesome International Quartets — Ringmasters & Crossroads so far! We hope to continue improving our craft and bringing the joy of four-part harmony to whoever will listen! In our other lives we are a project manager, a nurse, a training manager, and a vocal coach — and have the best groupies around (our long-suffering families). We can’t wait to have the craic with you and enjoy a few pints in the bar!